I would like to raise the stock bars at least a bit to improve the standing up riding ergonomics. There are two problems. The amount of raise will be first and foremost limited by the stock cables. I haven’t yet explored rerouting options, but as stock I don’t see more than 2″ raise to be possible. From an ergonomic stand point, I would like to get at least 2″” rise. With any noticeable rise I suspect that the handquards will no longer fit under the dash at full lock. Turning the guards downwards is not a tempting option as they are not quite level even now. For the particular handguards that I have, there is very little room to play with even in stock form. This angle shows the potential problem better. Any rise amd the guards will most likely smash into the dash. A) Replace the hand quards with some other design that may provide more clearance. Buying sets of $100 with a trial and error approach is not really tempting. I will have to be on the look out for other riders’ solutions. B) Go for risers that have both rise and pull back. This would most likely work, but would demand even more lenght from the cables. There is not much room for the bars to go back before the tank becomes and issue, but as the bars also will go up, it shouldn’t be a real problem. I’ve found a couple of products that might suit my purposes, but I will wait for a while before being the guinea pig on this issue. * loaned the pics from Twisted Throttle, hence the links. I have no affiliation. Unfortunately. I think, this configuartion is not the holy grail, because by a crash, it is expenisiver to buy a new dashbord. First i will try my Ride with the original Configuartion. How about changing your handle bars to a non cross bar brace type, like Fat Bars by Renthal. Without the fixed cross bar brace, you may have more flexibility to move or shorten the mounting of the hand guards? I will be fitting these type of handle bars, as and when I get my Rally. The Rox risers are probably your best bet though, with so much adjustability.  Keep up the good work with this site, very useful for any Rally owner. .., maybe look at this option : https://www.crfsonly.com/catalog/product_info.php/products_id/5981 . …, which the FRONT MOUNT is a nice billet aluminium bracket – that serves is a bolt on point for the ZETA pro hand guards BAR . This FRONT MOUNT – fixes to the top triple clamp (and not your handlebar) . This also makes for a stronger crash solution. Now Guys do not quote me as this being a working solution to the problem of raised handlebars hitting the Dash .., as I do not know . I am just suggesting something that (read – MIGHT) work.., because when the Hand guard BAR is fixed to the triple clamp (instead of the handlebar) then the BAR is fixed at a lower point . I tried that front mount with the Zeta Armor pro hand guards, it does not work, will hit the wind screen well before full lock. Therefore you would have thought Honda would have allowed enough slack in the cables etc (Like earlier CRF 250 L’s did to enable higher bar or riser modifications) …, all this tells me is Honda must have robber the ABS components from another bike (for eg; CBR 250) . I can only get the NON ABS version of the Rally in Indonesia, and most of those cables are super tight , as for sure they are the exact same cables etc from the earlier CRF250L bikes – BUT the forks on the Rally AFAIK have another INCH in the length of the rake , which also lengthens the distance between the (for example) front bake calliper and the front handbrake lever. Honda used up that previous cable slackness (that was available to previous CRF250L’s) so they could “just fit” on the Rally …., bummer. Solution ….., Try re-routing cables .., and failing that – buy aftermarket .